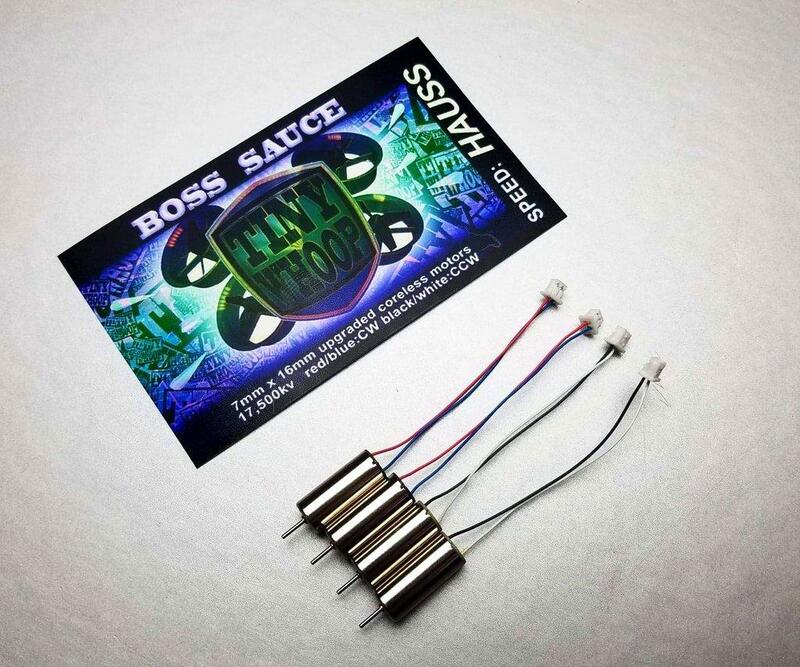 Introducing the Boss Sauce 0716 motor, Tiny Whoop's first 7mm motor! 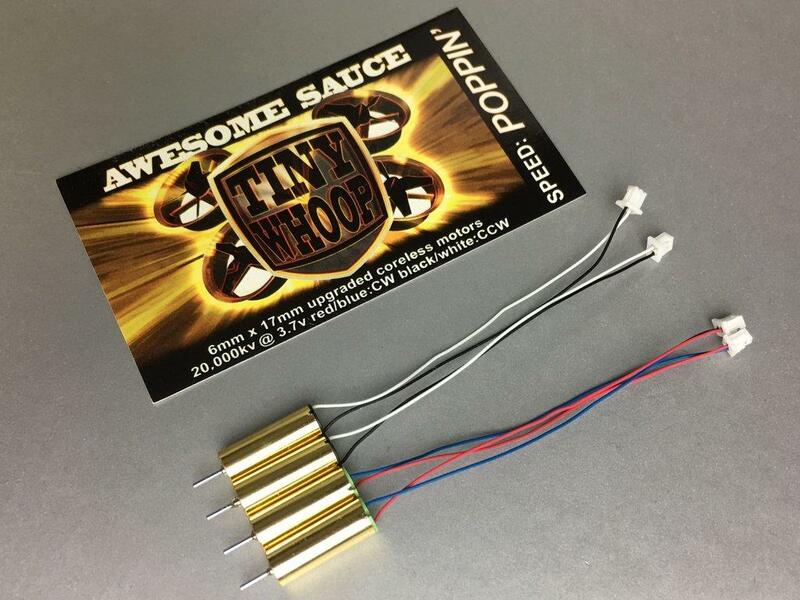 A 7mm build using a frame like this one gives you slightly more thrust than faster 6mm motors but more torque on the low end and a little more flight time. 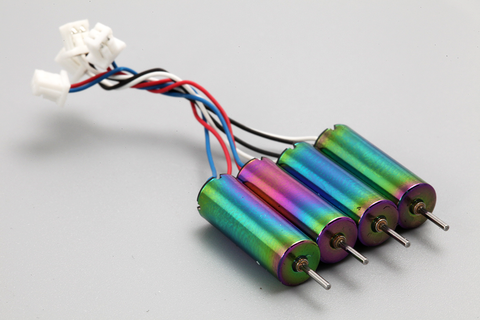 The entire feel of the quad is pretty different - feeling a little heavier but also more powerful. 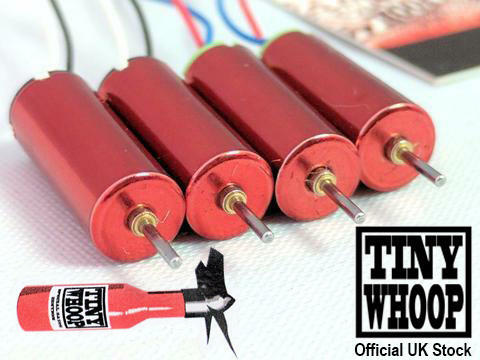 Some of our sponsored pilots prefer to do acro with high-kv 0716 motors like these. 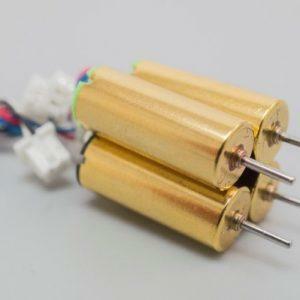 These motors are 7mm by 16mm with a .8mm shaft size, which is the Tiny Whoop standard and works with any of these props. 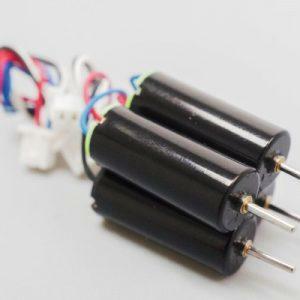 They have shortened wires for easier wire management, with the same old micro-jst plug that's on almost all Tiny Whoop style flight controllers. 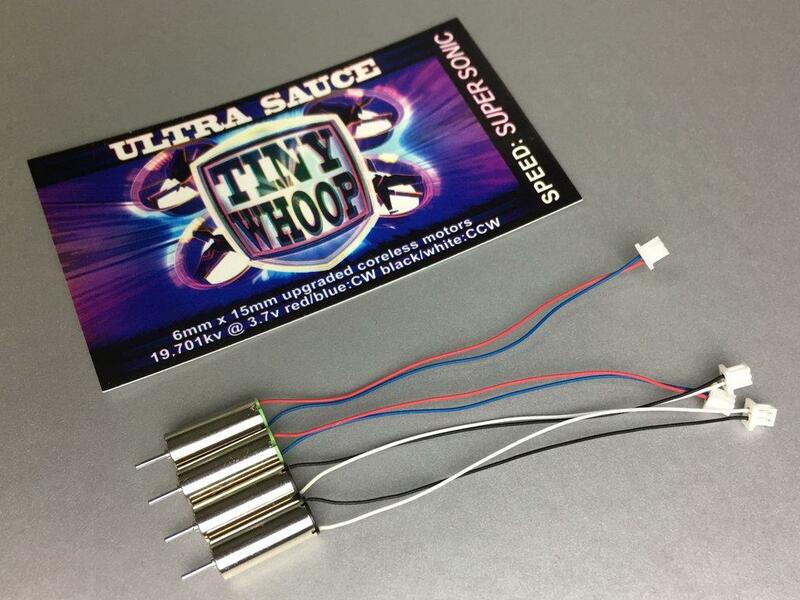 Because this is TinyWhoops first 7mm motor we're dropping the price by five pounds for a while to get some reviews and help people get into 7mm style Tiny Whoop flight!